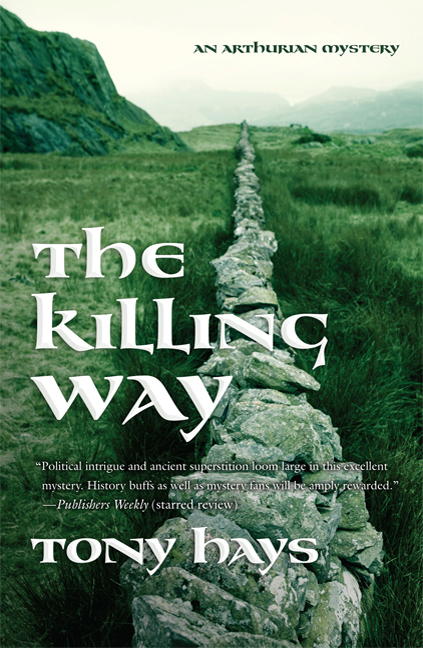 In honor of Grove/Atlantic UK purchasing all UK/Commonwealth publishing rights to the first two books in Tony Hays's critically acclaimed Arthurian mystery series, including all rights, including ebook and audio, Tony has generously offered Passages to the Past 4 copies of The Killing Way to giveaway to my readers! First, let me take a moment and say CONGRATULATIONS to Tony for such an amazing accomplishment and second, thank you for sponsoring this fantastic giveaway!!! SYNOPSIS: It is the time of Arthur, but this is not his storied epic. Arthur is a young and powerful warrior who some would say stands on the brink of legend. Britain’s leaders have come to elect a new supreme king, and Arthur is favored. But when a young woman is brutally murdered and the blame is placed at Merlin’s feet, Arthur’s reputation is at stake and his enemies are poised to strike. Arthur turns to Malgwyn ap Cuneglas, a man whose knowledge of battle and keen insight into how the human mind works has helped Arthur come to the brink of kingship. Malgwyn is also the man who hates Arthur most in the world. After the death of Malgwyn's wife by Saxon hands, he became Mad Malgwyn, killer of Saxons and right-hand lieutenant to the warrior Arthur. Right hand, that is, until a Saxon cut his sword arm off and left him to die on the battlefield. Arthur rescued him. Now a one-armed scribe and a heavy drinker, Malgwyn rejects the half-life that his liege gave him. But loyalty is sometimes stronger than loathing…and Malgwyn is pulled toward a puzzle that he can’t walk away from. Think CSI: Medieval: gritty, powerful, and with the true ring of historical perspective and a character who sees more than those around him. The Killing Way is the first in a mystery series that is sure to be a hit with both mystery readers and historical fans alike. To enter, please complete form below. Giveaway is open to US and INTERNATIONAL entries. Giveaway ends on August 23rd. For +1 additional entry each, please help spread the word about this giveaway. Blog, sidebar, tweet or facebook and include links in form below. I have been looking forward to reading his two books. Thanks for the Giveaway.